The following are the scheduled dates for our Summer Program. Classes will run for 8 days with NO makeup days. Students must attend all eight days and be in class the full 3 hours and 45 min. each day to complete the course. Students will need to bring a copy of their Birth Certificate and payment receipt on the first day of class. Other items needed are a pen and paper to take notes during the classes. It is recommended that you arrive 15 minutes early the first day so students will have time to find the classroom location. Unless signs are posted indicating where the Driver Education classes will be held, all students should report to the front of the school to be given the class location inoformation by the Driver Education Site Coordinator or another school administrator. NC state law requires that students be 14 ½ years old on or before the first day of class, or they must register for a later class. Tardies: Students cannot be tardy to class. Students who come to a class tardy will fail the course. Absences: Students are not allowed to be absent for any reason. Students who are absent will be listed as a Fail and will have to register and pay to attend another class session. There are no refunds should a student begin the class session and then fail due to missing any class time. Class Fee: There is a fee of $65 to take the classroom phase of Driver Education; the driving phase will be free of charge. To guarantee a spot in a class, you must register and pay online BEFORE the first day of class with a credit card by clicking on the “Register and Pay Now” button found below each session that is open for registration. Payment and Receipt: To show that a student has pre-registered, they will need to take a receipt of payment with them on the first day of class and give it to the Driver Education teacher. If you do not have the ability to make payment through the website via the payment buttons below, you can still guarantee a spot in a session and receive a receipt by coming by the Jordan Driving School offices before the first day of class and pre-registering. Please call the Jordan Driving School offices at 704-566-9900 before coming to the office to see if space is available for the class that you are interested in. Payment can be made with a certified check, money order or cash. Certified checks or money orders should be made payable to, “Jordan Driving School Charlotte”. PERSONAL CHECKS CANNOT BE ACCEPTED. Class Session Capacity Information: The maximum number of students for a class is 35. Should all 35 spots be pre-paid, then no new students will be added to the class on the first day of class. If space is available, students may be added to the class and can pay the $65 fee on the first day of class by cash, certified check, or money order. Certified checks or money orders should be made payable to, “Jordan Driving School Charlotte”. PERSONAL CHECKS CANNOT BE ACCEPTED. There must be a minimum of 30 students paid on the first day of class, or the class will be cancelled. If a class is cancelled because of insufficient numbers, those students who have already paid the fee will need to call the Jordan Driving School office to be moved to another class session. Refund Policy: There will be no refunds should a student begin the class and then dropout or fail. Classroom Location: For details about the classroom location contact the Driver Education Site Coordinator. 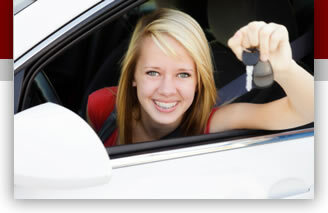 Information about the BEHIND-THE-WHEEL phase of driver education. Session #1: June 17, 18, 19, 20, 24, 25, 26, 27 (2019) Makeup Dates: There are no makeup dates for summer classes. Students must have been born on or before December 17, 2004 to register for this course. Session #2: July 8, 9, 10, 11, 15, 16, 17, 18 (2019) Makeup Dates: There are no makeup dates for summer classes. Students must have been born on or before January 8, 2005 to register for this course. Session #3: July 29, 30, 31 & August 1, 5, 6, 7, 8 (2019) Makeup Dates: There are no makeup dates for summer classes. Students must have been born on or before January 29, 2005 to register for this course.